Track everything with the system and all over each property. Guests can make purchases everywhere and pay on their room. See why BEPOZ makes a big impact. Bepoz's POS system and software for Hotels and Resorts is designed for ultimate flexibility with unparalleled usability. Share data with the Property Management System. Allow guests pay for meals, activities, and even retail items on their room. Create different products and pricing for the various places on the property like Restaurants, Shops and Activities. Manage Resort Packages too. Wirelessly make sales with SmartTAB or manage inventory with SmartPDE at different sales outlets or inventory locations. Link to Property Systems (PMS)... Bepoz links to most of the popular PMS systems in the world. The link is a true "Room Inquiry" that requests the name of the guest and the folio status. If OK to charge, Bepoz posts the charge through to the point of sale and gives a balance of the charges posted for reconciliation. This can be from a cabled or handheld POS terminal for the convenience of your house guest. The Point of Sale... 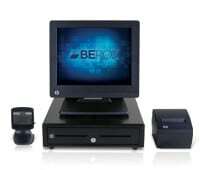 It is important that the POS terminal is fast, reliable, instant and accurate. Here are some key points of our Hotel POS System. Promoting Events and Customer Loyalty... Bepoz offers an extensive range of promotional systems. First, there are Scheduled Promotions like Happy Hour and or surcharge pricing that can be scheduled on specific days for specific times. The system will automatically change the price and return to normal pricing at the end of the set time. Next, there are Vouchers and Prizes. Bepoz can assign gift cards and print promotional or reward vouchers for prizes in almost every conceivable way. A reward can be issued when a customer spends a specific amount in a single transaction, or when a progressive amount has been spent over multiple visits. 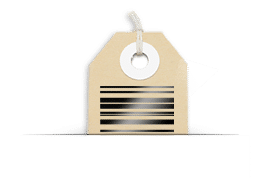 A voucher can be printed when a customer buys a specific product or range of products on promotion. Evaluate the success of the promotions with ease with our reporting tools. Total Control of Assets... Businesses today need many varied levels of performance from their POS system. 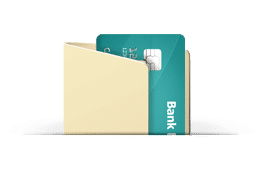 Cash Control with individual shifts or staff reports by cash drawer are available to be printed that will give detailed payment balancing totals, customer's served, average customer, and much more. Also, create accountability when cashiers can be requested to count and enter drawer takings into the system before a shift report is printed and a variance total can print on the shift report displaying overages and shortages for the shift. Stock Control handles both beverage & food items with simplicity and ease and create recipes to provide the real time cost of all menu items and cocktails. With features like our real-time FIFO, weighted average cost, inventory tracking for products, you can receive the suggested products nearing min or max levels or sales replenishment. Run Reports Anytime, Anywhere... Bepoz has designed different methods that allow reports to be generated to suit your needs. All data is reported live. Get on-demand reporting through the Back Office application anywhere on your iPad©, Smartphone, or Laptop. Conveniently schedule reports to arrive in your email.